Southern Style Green Beans with fresh green beans and crispy bacon is a flawless side dish for any meal. Do not wait for the holidays to enjoy this mouth watering, tender and perfect vegetable side dish. There are so many main dish ideas to serve this along side, but I think a healthy set of southern style green beans goes great with Honey Garlic Chicken or Chicken Broccoli Cheese Casserole. These southern style green beans are a staple on southern tables in the south and are a perfect and delicious side dish for almost any meal. In fact, they are so good, that you can eat them AS the meal. This recipe feeds 4-6 people. 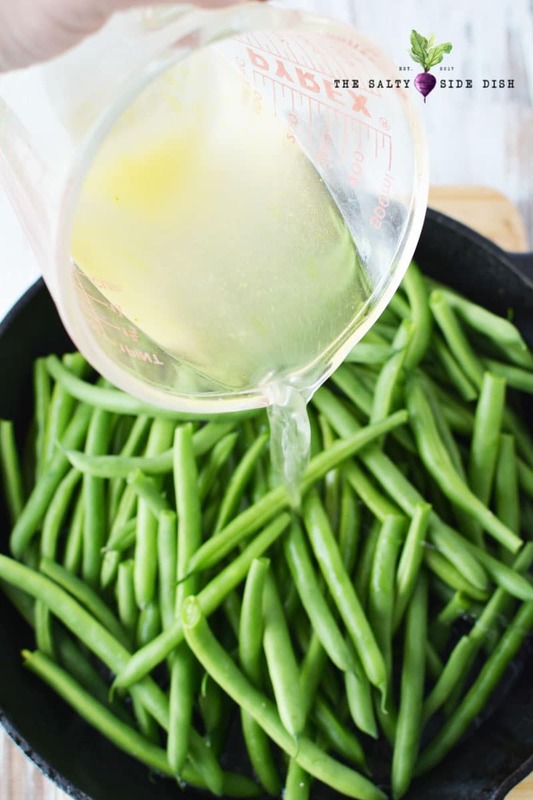 If you are looking to feed a larger crowd, you may want to make two batches as a pound of green beans is a LOT to rotate and cook evenly. I love cooking in a cast iron pan. If you do not have one, you absolutely need to buy one. This is my favorite cast iron brand . I like good old fashioned salt and pepper on my green beans, but feel free to add a little onion or garlic salt to dial up the flavor. Cook bacon in pan. Remove bacon from pan and set bacon on paper towels to cool and drain grease. Do not drain grease from pan. Note: You can skip fresh bacon in lieu of precooked bacon, just cut it up and add it near the end of recipe so it doesn’t get overcooked in the heating. If you go this route, you just wont have that delicious bacon flavor cooked in. Add fresh green beans, broth, salt and pepper and cook, covered, for about 10 minutes. Chop bacon and add to pan. Remove lid and continue to cook for 5-10 minutes or until green beans are cooked through and broth is reduced. Cooking times can vary when you cook green beans. I like my fresh beans with a little crunch, but some people like them cooked well. I’d allow about 30 minutes total for a crisp cook plus bacon can take a bit to cook. Cook bacon in pan. 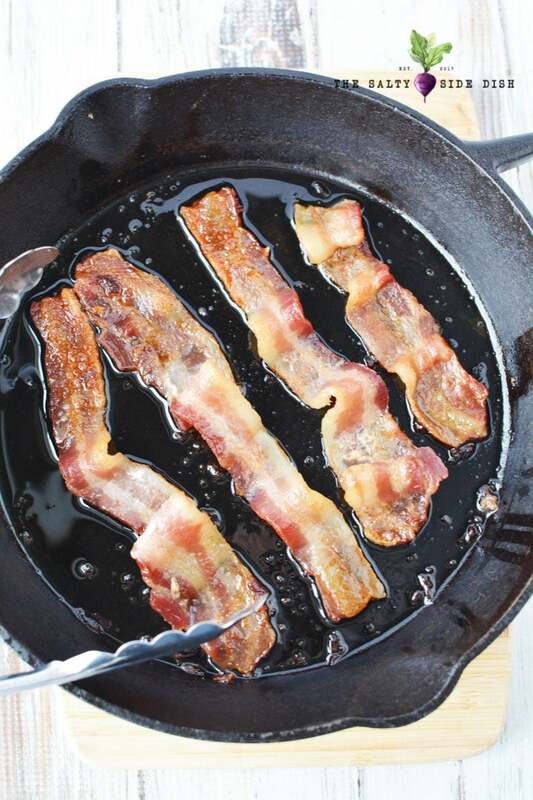 Remove from pan and set bacon on paper towels to cool and drain grease. Do not drain grease from pan. Add beans, broth, salt and pepper and cook, covered, for about 10 minutes. Stirring frequently. Chop bacon and add to pan. Remove lid and continue to cook for 5-10 minutes or until beans are cooked through and broth is reduced. 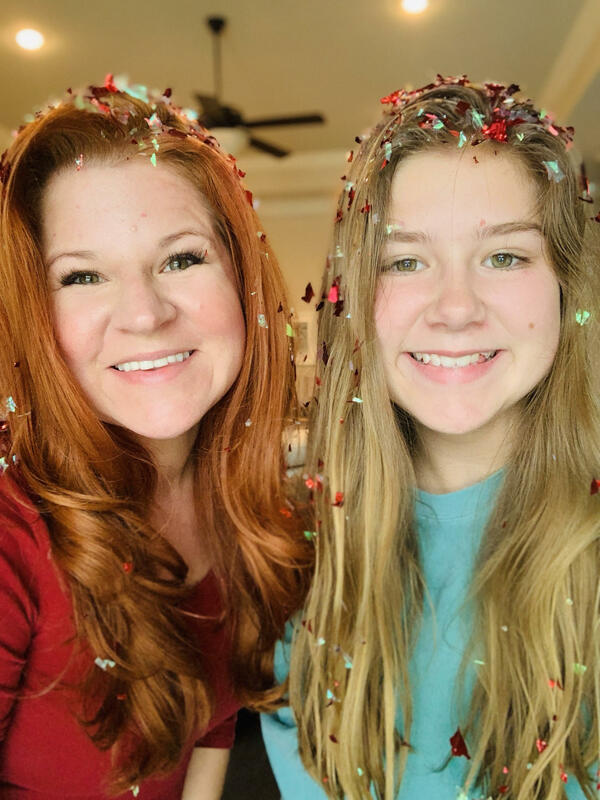 Hi Sandra, thanks for visiting! I am not a dietitian so I dont like to give out nutritional advice, but I personally use apps like Carb Manager to adjust ingredients.